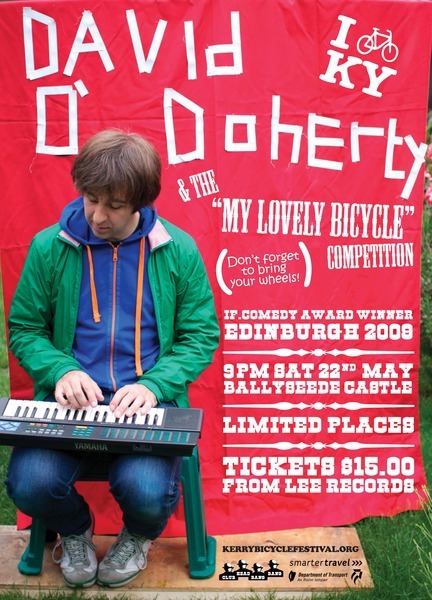 Bicycle freak David o’Doherty regales us with his songs and his tiny keyboard. David won the if.comedy award in Edinburgh last year, the UK’s most important live comedy award. The much anticipated My Lovely Bicycle will also take place , MCed by the inimitable Peter Dingle, so tighten your spokes, and polish your bottom bracket, and bring your wheels along to Ballyseede! On sale from Lee Records Castle Street Tralee. 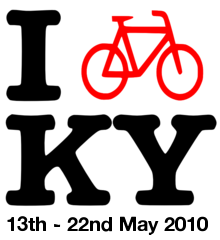 Cycle convoy departing from Tralee Town Square at 8pm, please remember lights and reflective clothing.